Many experts believe the timing is right to invest in gold stocks. 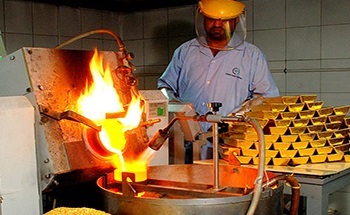 Gold stocks are starting to heat up and 2019 could be a huge year! Make sure you join our free stock newsletter to keep up to date on all the stocks. Physical Ownership- Physical gold and silver bullion is the cornerstone of precious metal investing. Personally, I hold 50% of my total assets in physical gold and silver bullion. Admittedly, I was somewhat late to the gold bull run in terms of physical gold purchases (early 2008), but still plenty early with regards to the continuing bull run. Precious Metal Exchange Traded Funds- The recent ETF explosion has spilled over into the precious metal investing over the last few years; The most popular being GLD and SLV. Let me first say why I’m not a fan of GLD, SLV or any other ETF that tracks the price of precious metals without actually owning the underlying metal. I prefer to use ETFs that actually own the precious metals like Sprott Asset Management’s PHYS fund and Canadian closed-end gold fund, CEF. I prefer these over GLD & SLV because these funds actually own the full value of the precious metals while GLD, SLV and other funds simply track the index and nominal price of the underlying metal. With regard to PHYS, I prefer the redemption feature for physical gold and silver that’s available to investors. It brings a piece of mind about owning the actual metal as well as a very tax advantageous 18% tax on capital gains versus the higher 28% on “collectibles” (physical bullion). Gold Mutual Funds- Mutual funds invest in a diversified selection of gold stocks and charge a small management fee built into the share price of the mutual fund. They tend to invest in established mining companies with some investing in a mixed bag of smaller mining and exploration companies. Again, I don’t recommend or suggest mutual funds because I believe fund managers have a tendency to select fully valued or overvalued companies to include in the funds. The purpose of investing in gold stocks is to find undervalued companies relative to their share price. More on this below. Big Gold Producers- Names like Goldcorp Inc (GG), Barrick Gold Corp (ABX), Newmont Mining Corp (NEM), Agnico Eagle Mines LTD (AEM) and a few others come to mind in this category. Large gold producers are the “brand names” of gold stocks and many of them have seen substantial run-ups in the last decade of the bull run. As with the ETFs & Mutual funds, I’m not a big fan. Above details my point on large gold producers relative performance against the spot price of gold. Since the beginning of 2007, gold gained roughly 166% with the entire field of the aforementioned gold producers lagging behind in shareholder value. 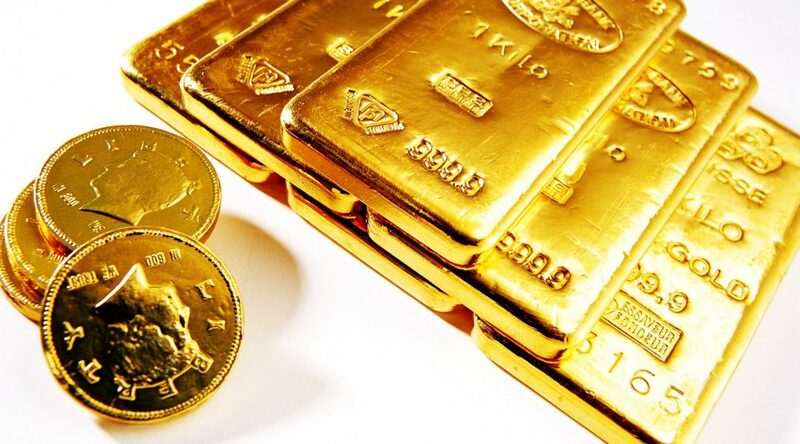 Large gold producers as a whole lack the organic growth necessary to deliver substantial gains relative to gold’s spot price, and, I believe, the real value lies in junior mining companies. The interview on gold stocks discusses more of this on the homepage. Intermediate Producer- While some of these companies are poised to become the next large gold producer, many of them will sink back into their current production numbers and maintain mediocrity relative to gold. Arguably, it’s as difficult to select mid-tier mining companies as junior miners. So, I tend to stick with junior miners with the most relative upside potential. Junior Miners/ Exploration Companies- Here’s where I believe the real value in gold stock investing lies. Juniors classify as exploration and early-stage production companies. These are the micro-cap stocks of the gold world. 50%, 100%, 300%, and even 1000% returns occur frequently in this sector. However, there’s a catch. Maybe only one of every 100 junior miners or exploration companies will present opportunities to generate massive gains. In order to properly invest in this area, you must possess ample experience in the gold mining sector, ability to research and analyze drilling results, select companies with competent management, and know all the ins and outs of these companies. It’s no easy task to hand select only the top gold and silver stocks poised to deliver ample shareholder value. Thankfully, I believe I’ve found THE world’s top gold stock expert. His track record boasts over a 239% return in 2009 and a 173% return in 2010 on the overall portfolio. He and his team work around the clock to find and deliver only the top gold mining companies to his subscribers. I’ve read and subscribed to many newsletters, and this one is the only newsletter worth reading in terms of shareholder value delivered to the portfolio. Warren Buffet has never been a huge fan of Gold. In fact, he believes it is being used for destructive purposes. Read our Warren buffet derivatives still weapons mass destruction article. I also suggest subscribing to my free newsletter. I discuss global macro trends, individual stock selections, investing strategies, and how to generate incredible returns as our current monetary crisis continues. We focus on all kinds of different stocks, especially how to make huge returns in penny stocks! Mining companies are mostly undervalued in this market. While the spot price of silver is lagging with other precious metals, gold prices are holding up well, and there remains a lot of anticipation about an upward price spike in that commodity. If I had one precious metal in which to speculate it would be gold, even at its current level. Mining companies still have lots of cash on their balance sheets, and the way the world is going, gold is likely to become a reserve currency. If things in the global economy get better, then gold will accelerate in price; if they don’t, global investment risk should keep gold prices right around current levels. The stability in today’s gold prices is very helpful for mining companies that can better plan their operations with an underlying commodity that’s not going down. Surveying the universe of mining stocks, I definitely view the group as undervalued. There are now a number of well-managed mining companies with solid production growth that are cheaply valued on the stock market. This is the way it works in the mining sector; the Street basically ignores the group until the spot price of gold has already moved, and then institutional investors pile in. I’d be a buyer of select mining companies in this market at this time, and it’s because of the value, not my expectation for rising gold prices. Even large-cap mining companies are currently taking it on the chin. Consider Barrick Gold Corporation (NYSE/ABX), which was trading around $47.00 a share at the beginning of the year. Currently trading around $32.00 a share, the spot price of gold is down only slightly since January, yet ABX is down about 50.0%. Barrick Gold is currently trading at a price-to-earnings ratio of less than eight and has a dividend yield of 2.5%. The stock is right at its 52-week low and is one of the few mining companies with solid expectations for earnings growth in 2013. Barrick Gold is a large-cap stock, but it clearly illustrates how institutional investors have abandoned the gold sector. In my view, the trading action in the majority of mining companies highlights an attractive new entry point for investors. Spot gold looks like its getting ready for a breakout on the charts, but to do so it will need a catalyst. I think there’s a good chance for gold to break out of its current trading range based on new policy action from the Federal Reserve and in Europe. As a group, mining companies have been beaten up pretty good, and valuations are attractive. As I say, gold needs a catalyst for another big move. I think one is not too far off.